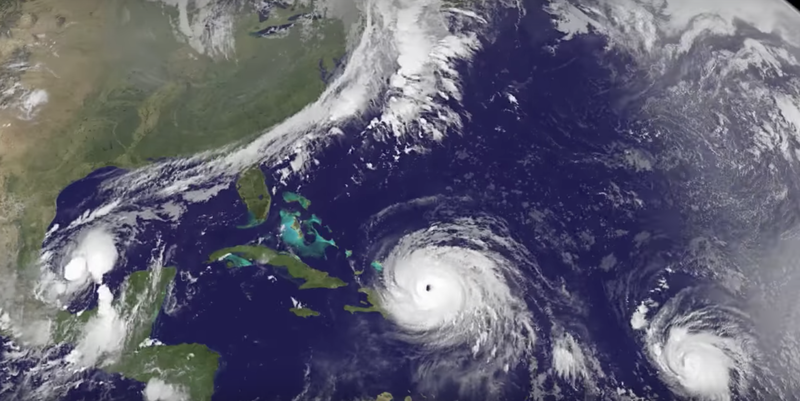 Hurricane Irma became a Category 5 hurricane on Sept. 5 with maximum sustained winds recorded at 180 mph moving westward at 15 mph, according to the National Hurricane Center. Over the weekend, Governor Rick Scott declared a state of emergency for every county in the state and has suspended tolls in preparation for the Irma. As a Category 5 hurricane, a direct hit will be catastrophic for anyone in its path. As the Florida Keys and southern counties evacuate, what precautions should you take? As of this moment, there is no guarantee UT will be hit, but you can never be too prepared. Some professors are getting ahead of what could happen by preparing their classes for the worst: Professor H. Borgeas, M.S., human anatomy and physiology coordinator, posted her lectures online for a few days this week. She will still hold class if the school reopens (campus activities have been suspended since Thursday, Sept. 7), but understands that some students are heading home and doesn’t want them to fall behind, she said. Campus Safety has posted updates and sent out alerts saying there is currently not enough information to make any procedural changes and that the earliest the storm could reach us would be late Friday or early Saturday. Currently the school is closed Thursday through Monday but there is no evacuation scheduled. If evacuation is mandated, UT will be providing transportation to a Red Cross Shelter; the address will be released when it becomes available. General shelters will not open until 8 a. m. on Saturday, Sept. 9. Students are allowed one bag, no pets, and three meals a day will be provided. There is a voluntary evacuation in place for residents in Evacuation Zone A, which stretches from the south shore of Tampa to Apollo Beach. Students who can leave campus and find safety are encouraged to do so. UT food services will be available unless evacuation is mandated. According to Vice President of Operations and Planning Linda Devine, UT’s Emergency Operations team is continuing to monitor the storm’s progress and will send out email and text alerts as well as update UT’s website. If campus needs to be closed, UT will provide the guidance needed for shelter and evacuation. “I’m freaked out,” said Alex Jackson, a junior from North Carolina. Jackson is currently trying to leave campus to avoid the hurricane. Some students, however, haven’t been following the news of the storm and are not prepared at all. Aidan Byrne, a junior at UT remarked that he feels safe staying put to ride out the tempest. Keep up to date with all UT’s alerts and information by going to ut.edu/weather and signing up with emergency alert text messages through campus safety, and checking the NOAA’s National Hurricane Center at www.nhn.noaa,gov for the most up-to-date information. Check back with The Minaret for more information on Hurricane Irma and your safety at UT.